Private space exploration projects have made headlines recently with companies like Space X, Planetary Resources and Virgin Galactic, but the first woman of color in space, Dr. Mae Jemison, has grander ambitions. In 2012, under Dr. Jemison’s leadership, the “100 Year Starship” initiative received widespread media attention as well as seed funding from DARPA (Defense Advanced Research Projects Agency). 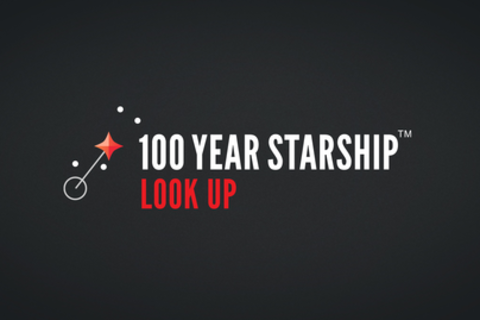 The goal of “100 Year Starship” is to ensure that the capabilities for human travel beyond our solar system exists within the next 100 years, while each step of the way enhancing life on earth through the application of interstellar research and technology advances. This session will explore topics ranging from the potential applications of space travel to healthcare, energy and self-sustaining technologies, featuring The Barbarian Group’s Benjamin Palmer, Dr. Jemison, Dr. Jill Tarter (co-founder of SETI Institute) and Star Trek’s LeVar Burton. Dr. Mae C. Jemison is currently leading 100 Year Starship (100YSS), a project which seeks to enable human interstellar space travel to another star. Jemison, the first woman of color in the world to go into space, served six years as a NASA astronaut. Prior to NASA, Jemison was Area Peace Corps Medical Officer for Sierra Leone and Liberia. A general practice doctor in LA, Jemison earned her degrees from Stanford and Cornell University. Benjamin Palmer is a co-founder of The Barbarian Group, and has served as its CEO since the company’s founding in 2001. Palmer is one of the most respected voices in the world of interactive and digital advertising. He’s been named one of Creativity’s 50 top creatives and one of Esquire’s ‘Best & Brightest’. Palmer is President of the Art Director’s Club, 2012 Jury Chairman of the One Show Interactive awards and co-founder of popular artisan Mayonnaise label, “Empire Mayo”. Jill Tarter holds the Bernard M. Oliver Chair for SETI Research at the SETI Institute, a nonprofit dedicated to explore the prevalence of life in the universe. Prior, she was Director of the Center for SETI Research. Tarter received her degrees from Cornell University and University of California, Berkeley. LeVar Burton is an actor, director, producer and entrepreneur. Burton is best known for his roles as the young Kunta Kinte in the 1977 award-winning ABC television miniseries Roots, Lt. Commander Geordi La Forge in Star Trek: The Next Generation, and as the host and co-creator the PBS children's program Reading Rainbow. Currently, he is starring in the new TNT TV series, Perception, and acts as Curator-in-Chief of the RRKIDZ/Reading Rainbow children’s brand.